Each year winter wheat faces unpredictable circumstances that have potential to derail plans and impact yields. When you’re faced with late planting, we recommend using a starter fertilizer to make sure the crop will develop well to survive overwintering. Nitrogen (N) and phosphorous (P) are important nutrients for profitable winter wheat production. In order to optimize fertilizer, test your soils to better understand which nutrients are available and which you may need to apply. Nitrogen influences protein levels – higher protein levels typically result from higher N levels. 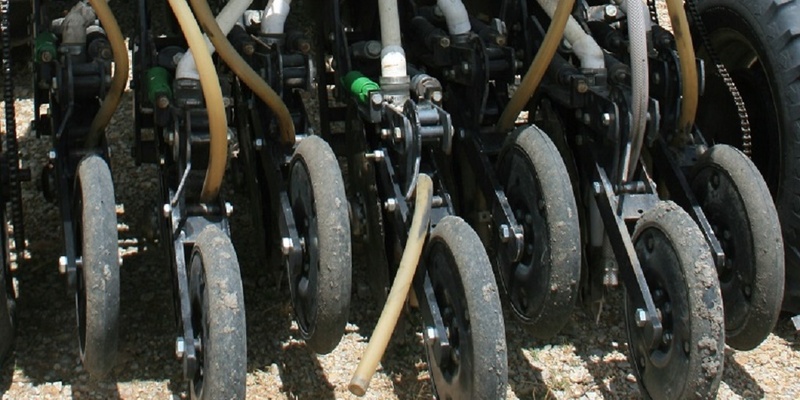 Test your soils for residual soil nitrate by taking samples from a depth of 3-4’. Then apply N if soil availability is low. Phosphorous is key to root and tiller development. The better developed these are, the more likely the plant will produce bigger seed sizes and more kernels per head, resulting in a higher grain yield. Phosphorous deficiencies in soil can result in delayed maturity and even winterkill. If you’re faced with planting wheat late, it’s likely worthwhile to apply starter fertilizer so your crop is better able to develop 3-5 tillers in the fall so that it has a better chance of overwintering through spring. For more information about AgriPro® brand wheat varieties or to find a local AgriPro Associate, visit www.agriprowheat.com.